Our fast-growing team in Philippines is looking for candidates who can bring their own unique energy and enthusiasm to work with multi-national companies across APAC region. Not only do you receive extensive training, you will also be assigned to a mentor to ensure you settle in to the company, ensure you receive the right guidance and orientation. Systematic and analytical approach to problem solving. Able to prioritise own workload. Maintain an up to date knowledge of payroll regulations and statutory requirements. Able to work effectively as part of a team. 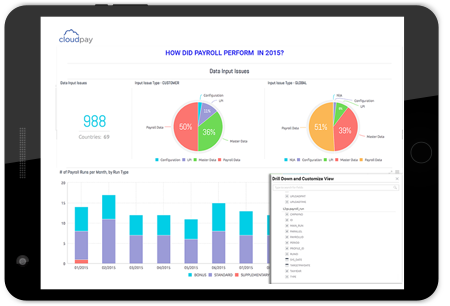 Whether you manage payroll in five countries or 50, you need a global solution that ensures compliance beyond borders and insights that will move your company forward.